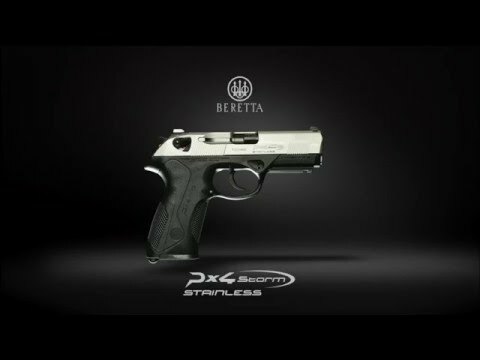 The NATO-certified Beretta Px4 Storm Inox double/single-action semiauto is the culmination Beretta’s experience in engineering pistols for military and law enforcement. Absolute durability, reliability, ergonomics and interchangeability of parts have made it the choice of military and police professionals around the world. 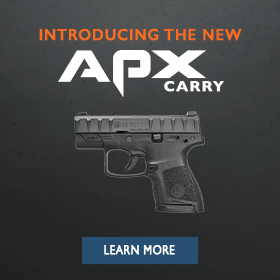 Its ease of use, safety of operation and sleek lines are also causing it to be a favorite for self- and home defense as well as for concealed carry. Apart from the winning features of the PX4 line, the Inox offers you an attractive and durable stainless slide contrasting with the black frame. Designed to meet the most stringent military standards of durability, the PX4 has been reported to fire well over 150,000 rounds with zero part breakages. Besides the essential simplicity of its design (fewer parts=fewer and more solid components bearing stress), the proprietary steel we use for this pistol was developed to be impossibly tough. Its safety system is also ultra-reliable, giving you automatic firing pin block as well as a flip-up ambidextous manual safety for extra peace of mind. All this is why a growing number of military and law-enforcement groups around the world are choosing it and using it in every environment imaginable--the PX4 just keeps delivering. This pistol features a cold-hammer forged, rotary barrel encased in an ultra-tough slide machined out of solid bar stock. Besides being one of the strongest actions available, the rotary barrel dissipates recoil away from the shooter’s hand and greatly reduces muzzle jump, making it an extremely fast, accurate and pleasant-shooting handgun. 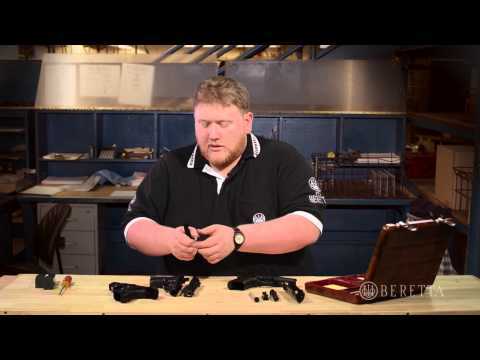 After a long day at the range, the disassembly device is designed to allow the pistol to be field stripped very quickly and easily and to avoid casual or involuntary disassembly. Re-assembly is even easier, with the slide locking automatically when it travels past the rear section of the frame. The lines of the pistol are snag-free and make unholstering and reholstering easy and fluid, while the trigger guard is also rounded to facilitate the correct position of the supporting hand. In front of the trigger guard there is a Picatinny rail integral to the frame, allowing the easy mounting of laser devices, light systems or other types of accessories. The pistol may be adapted to different hand sizes and shooting styles thanks to a modular design with interchangeable backstraps. Also, the ambidextrous and reversible controls offer the possibility of easily training or shooting with either hand. Whether it is for official military and law-enforcement use, for home defense and concealed carry or as an accurate and high-quality pistol for recreational shooting, the PX4 Storm is one piece of gear that will never let you down. Also available in standard version, as well as in compact and subcompact configurations. The PX4 gives you an extra level of safety while in the holster or not in use--the firing pin is blocked automatically to prevent any type of accidental firing. Besides being a custom-looking touch, the Commander-style hammer is lighter; hammer-fall during firing is therefore crisper and will not disrupt your aim. Tactical magazine-exchanges on the PX4 are easy and lightning-fast. When you operate the magazine-release, the magazine falls free and does not require the use of the off-hand. The interchangeable backstraps will make the PX4 grip fit ergonomically most hand-sizes and shooting styles. Most controls on the PX4 are reversible or ambidextrous, making it possible to train or shoot right- or left-handed. The slide on the PX4 Storm Inox is in stainless steel, giving you added resistance to the elements as well as an elegant, custom-looking contrast with the rest of the pistol. The built-in Picatinny rail makes it easy to complement the PX4 with a variety of tactical accessories such as lighting devices, with no gunsmithing required. Easily train or shoot with either hand, thanks to the ambidextrous/reversible nature of most controls.